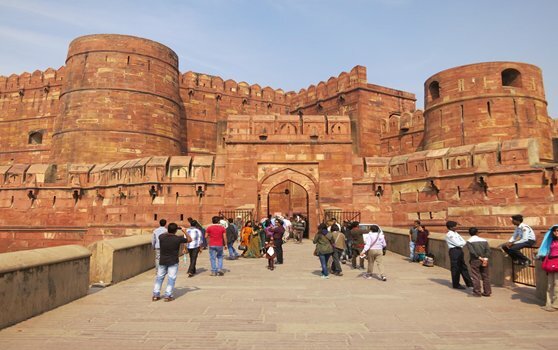 Agra Fort is located on the right bank of the river Yamuna in the city of Agra in Uttar Pradesh. It is one of the most important and robustly built stronghold of the Mughals, embellished with number of richly decorated buildings encompassing the imposing Mughal style of art and architecture. It was constructed by the third Mughal emperor Akbar on the remains of an ancient site known as Badalgarh.